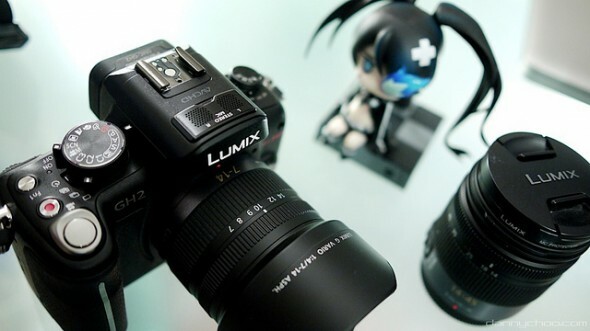 Panasonic designed the GH2 Micro Four Thirds camera to also shoot great video and the digital camera has received a warm embrace by the amateur video community. Out of the box the GH2 can shoot full HD 1080i video at the maximum AVCHD bitrate of 24 Mbit/s (Mbps). Leave it to the hacking community to achieve what even Panasonic’s engineers would not have though possible. Not too long ago the GH2 received the hacking treatment with a custom firmware courtesy of user ‘Vitaliy’ which unlocked the GH2 to new possibilities. Well, testers have been pushing the envelope since then and a recent contribution by user ‘Driftwood’ has pushed the GH2 to record video at a whopping 176Mbps in a format titled AVCHD Intra. What’s incredible is that the GH2 can actually manage such a high bitrate, this is by far the highest for any mirrorless or DSLR camera out there. You can catch two videos recorded at this setting after break, showing off the amazing picture quality. AVCHD Intra is somewhere between Panasonic’s pro-level AVC Intra and AVCHD. AVCHD interpolates in-between frames from other recorded frames, whereas the codec in this hack, AVCHD Intra records all frames and compression is based only on the current frame, like AVC Intra. The name comes from intra-frame compression. The firmware and instructions can be found at Personal-View. As always, use at your own risk. You will also need a very fast SD card capable of over 25MB/s writes to pull such a high bitrate. Driftwood’s settings can be found in this thread.